The Official Blog of Seattle's True Independent Film Festival. STIFF is over... Stay Tuned for Highlights! As most people have noticed, the Blog-o-STIFF has been a ghost town for the last couple weeks. I had every intention of keeping it up to date as we went along, but everyday there were too many things happening to write about, so I started snapping pictures where I could as placeholders to jog my memory when I would have more time to write. We had the volunteer BBQ on Saturday and I think I have mellowed out enough to start mailing things to filmmakers, tiding up the website and expanding on these pictures. STIFF is sort of becoming a year round thing for many of us though, so I imagine that I might take some time over the course of the rest of the summer rather than plowing through all of these entries in the next couple weeks. There is a lot to cover ranging from the award winners, press that continues to roll in, new friends who visited Seattle, and strange happenings at this year’s fest. I also want to spend some time writing about a couple of the coolest days that have happened in recent memory. Please be patient with me. STIFF Moby Marshall Peterson 2, originally uploaded by Clint Berquist. 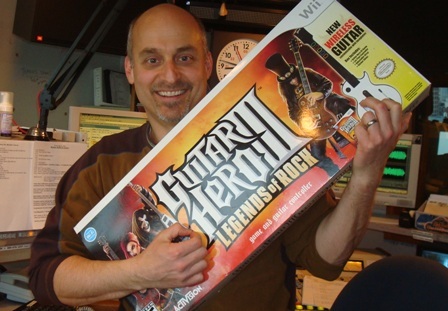 Here is a really great interview that Marty Reimer did with Moby the other day on 103.7 The Mountain. Thanks to Jodi Brothers for hooking this up! Moby show MOVING to Showbox Market.. The city has recently been cracking down on the capacity at many Seattle nightclubs and the fire marshal has brought the capacity of Neumos down from 700 to a little over 500. Since the venue sold over 500 tickets in pre-sale (in under 2 hours), this basically meant that we wouldn’t have been able to get any of our badgeholders into the event. So, the Moby show has been moved to The Showbox at the Market. Aside from the fact that all of our programs and posters have been printed with Nuemos as the location, this should be good for everyone all around. Chad from USC Events told me at last night’s wildly successful Tiesto show, that the extra capacity at the Showbox would mean that all of our badgeholders would be allowed admission and they would even have a special VIP area for STIFF badgeholders. It would also mean that they would be able to open up additional ticket sales to people who missed out on the presale. So, there it is.. Moby has been moved to the Showbox Market on Sunday, June 8th. Doors Open at 8PM. 21 and over only. $20 adv or door. 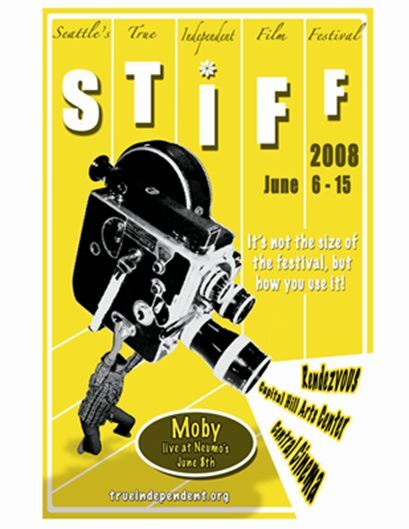 There are still a few All-Access badges to STIFF 2008 available for $50 that will get you into all STIFF films, comedy and music (Including Moby!). You can buy badges here! I hope to see you all at STIFF! Those who have been paying attention to the Blog-o-STIFF already know it, but for those who don’t, STIFF 2008 will feature none other than MOBY (dj set). We are very excited to be partnering with USC Events for the show on Sunday, June 8th at Neumos. There will be a special presale starting at 10AM on Tuesday, May 13th for all of you folks. The rest of the world doesn’t get to buy until Friday. Moby was a natural and obvious choice for STIFF not only because he is a fantastic artist, but because of what he has done for the film-community with MobyGratis. Weekend Film Challenge contestants will also be including music from the MobyGratis library into their short films, which Moby will be judging. Moby’s non-profit project, MobyGratis, has currently been used thousands of times by film students and independent film directors around the world. Outside of MobyGratis, Moby has had his songs in several dozens of different tv/film outlets and recently scored the film Southland Tales. 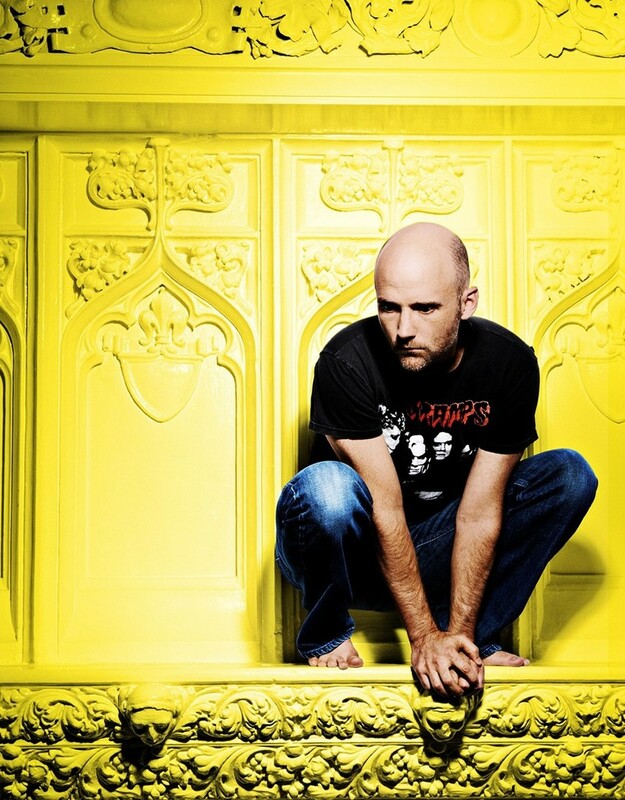 Moby is currently on tour for his latest CD Release, Last Night, released April 1st, (4 stars, Rolling Stone). 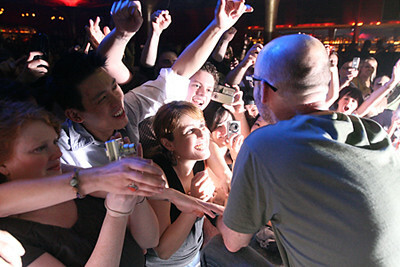 Last Night shows Moby returning to the dance floor with force, after the singer-songwriter moves of 2005's Hotel album. Now.. If we can just figure out a way to keep Cody Hurd from being so popular and in town a little more, maybe we'd be able to get Voltage Periscope to play STIFF this year.